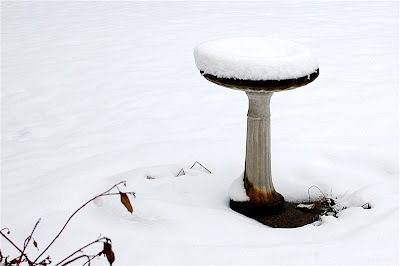 The snow arrived last night and it is still here - but I am trying to ignore it (so it will go away...). Instead of thinking about the cold weather let's focus on Spring. I have the photos and all of the information now so I can show you the wonderful Kit of the Month and Deal of the Month offers from Creative Charms for April. 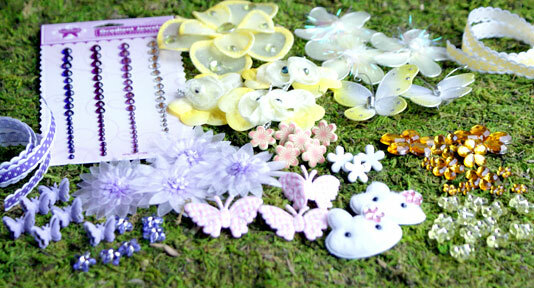 The Deal of the Month is called "Hopping into Spring" and includes an amazing 137 pieces for only $6.99 (regular price $21.67). 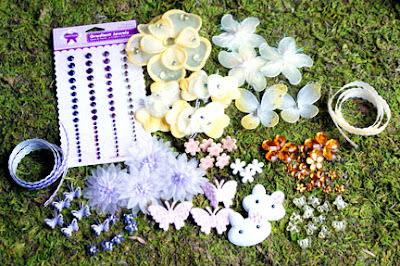 The little bunny faces are very cute and there are so many pretty flowers and butterflies in this deal - enough for lots and lots of projects. 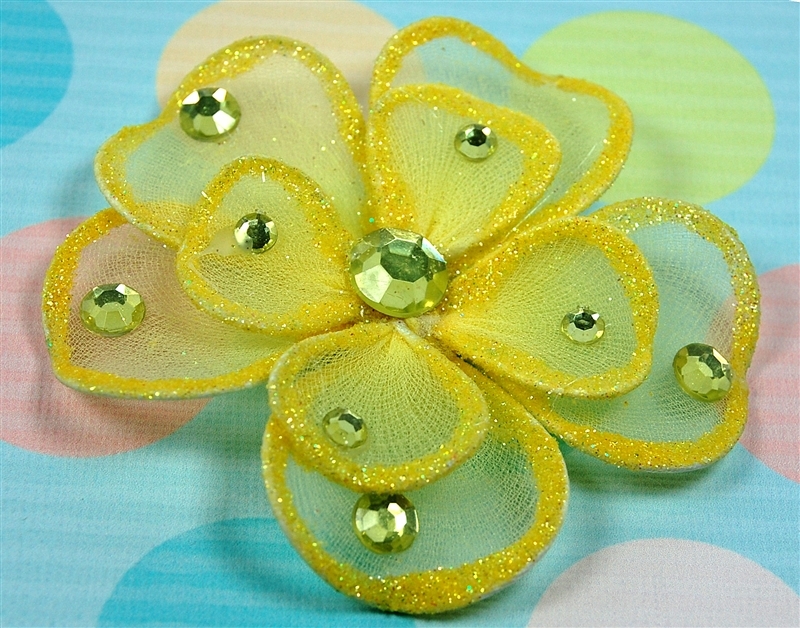 You can order the April Deal of the Month directly from Creative Charms by clicking HERE. 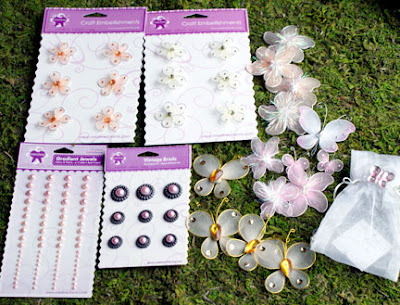 The Kit of the Month for April is called "Spring has Sprung" and it contains 108 pieces for $14.99 (regular price $22.73). The Flared Flowers are just beautiful and the large butterflies with gem bodies make a great focal point for a card. They come in an irresistible little bag that you can reuse. You can order the April Kit of the Month directly from Creative Charms by clicking HERE. If you are excited about the new sets and would like to win one of the new Deal of the Month collections be sure to pop over to the Creative Charms blog this weekend. All you have to do is be a follower of the Creative Charms blog and leave a comment on the post Happy April. You could win on of the Deal of the Month sets - the winner will be announced on Monday. 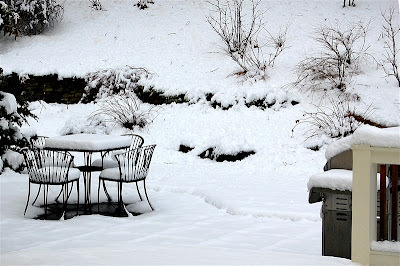 Here are just a few more photos of the views from my house this morning - I stayed home even though we weren't really "snowed in." With a little luck this will melt quickly and in a few days we might be able to start some Spring cleanup in the yard. 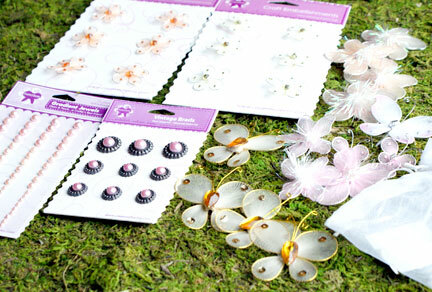 Have a great weekend - I hope you have some chances to get crafty! I will be finishing up some projects around the house to get ready for a family visit next weekend. There will be something special happening here on my blog next week - you won't want to miss it! 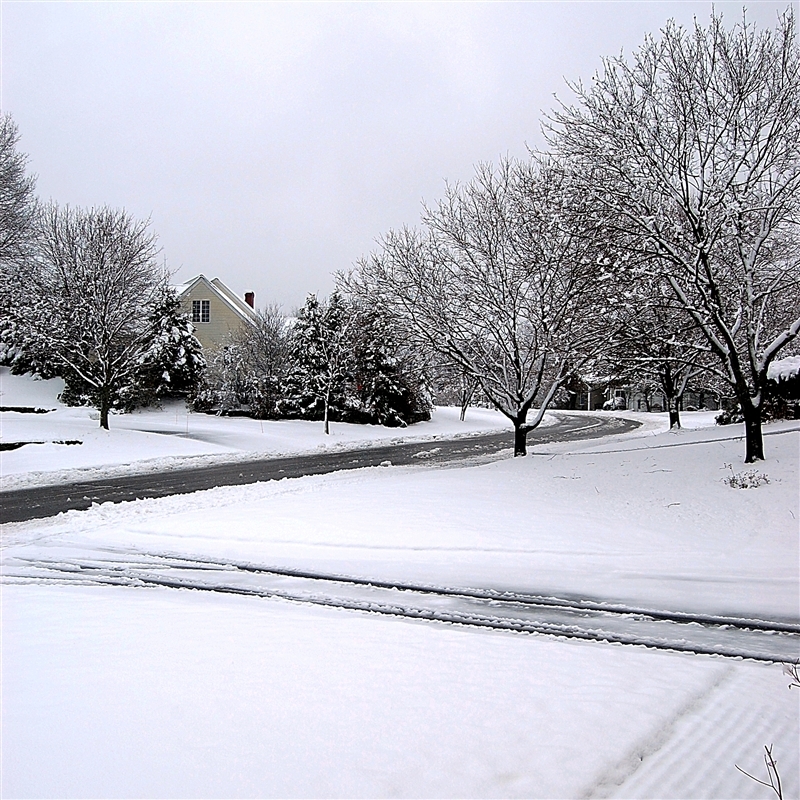 Wow, it looks almost like the "first" snow of the year in your pictures. I, too, am very tired of the long winter and am trying to get into a more spring mood by working on Easter and spring cards so these cute embellishments come at the right time. Can't wait to see some of the projects you create with them! So sorry that things are still frigid there, but here it was in the high 70s yesterday and it is 59 at 8:43 am. Everything including the azaleas are blooming and it is a beautiful spring! Hopefully some will be coming your way soon! Thankfully all our April snow has melted, but it's still cold. Your snow made the national news! We've had so much rain and the rivers are all flooding. Hurry up sunshine and dry weather. Wow! you all have beautiful snow. It's going to be in the 90's where I live this weekend. Let me send some warm weather to you and it will melt all that wonderful snow real fast. I will be planting flowers and will pretend that I am working with my Mother's Day Bouquet Cricut Cart. Stay warm and create more wonderful projects. Sorry for all of the snow. Hope things heat up soon. I love love love those snow pictures! Those are amazing!